Truthfully, I had not heard of OneTigris before I got my Olde English Bulldogge Odin two years ago. He is my service dog and I was looking for a quality high-speed looking vest for him to be festooned with patches. After doing a bit of research, I decided to try OneTigris' offering. Here is my review on the OneTigris Military Patrol Dog Harness. 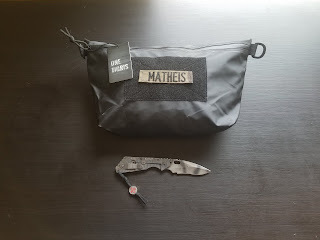 Over the past two decades I have had samples of tactical gear from the majority of the big name makers and many custom and small makers. OneTigris' gear is at the top and they have a Lifetime Guarantee. I have recommended this and their other dog vests to many friends and clients. Since falling in love with the vest, I have purchased some other items from OneTigris. The most recent was their Water Resistant Bag. I was looking for basically an envelope type stuff sack to hold my Snivel Gear inside my Mystery Ranch pack. It seemed 1T was reading my mind. As soon as it arrived, I was liking what I saw. It just looks solid and well made. I packed my Proper Gore-Tex rain suit into it, along with a wind shirt and an extra bandanna. It swallowed it up. 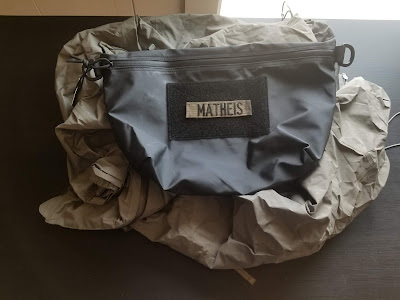 The bag is advertised as being water resistant, but it is burpable, meaning that you can leave the YKK waterproof zipper open just a bit and squeeze all the air out. Most of us have done this with zip-locks. I would not go submerging it, but I would have no qualms about it being out in the weather even with electronics in it. Also a pro for the kayak, canoers, and boaters reading this. Bag pictured on top of Proper Gore-tex rain suit. It is complemented with a d-ring on each end and a large piece of velcro on the front to identify contents or just to place some morale patches. Like I said, what drew me to this bag was the envelope type wedge shape it has. It's not shipped like a cylinder or a block like other bags for the same use. The wedge shape fits great into the bottom of my pack and doesn't waste any room. I plan on getting two more just because I like them so much. Great job, I really astonished to read the review here. It's so informative, just loved it. Thanks.